Wootz! last weekend was full of love in the air, not only we attended Share Your Love @ Bandar Rimbayu IJM Land but also attended my bestie's wedding reception on Sunday. It was a weekend full of love, auspicious events and happenings. So how was your weekend? Well, The Share Your Love at the ARC, Bandar Rimbayu was a 2 days event organized by IJM Land Berhad. This event is not only for the couples who plan to get married soon but also for the whole family. There were various activities for caters for everyone and children also. However, the couples find it most interesting for them because mostly are wedding related activities. As we walked into the ARC we were welcome with the flower arch as if we were at the garden wedding. There were about 7 bridal houses on hand to provide information and ideas to couples who are looking to tie the knot soon. Plus other wedding related services participated were wedding planners, florists, music bands and even a wedding shoe designer. Everything was nicely setup with so many flowers and dreamy decorations. Here’s the Korean inspired Bridal Runway showcasing all the latest trends of bridal fashion plus there was even a make-up tutorial session by Artistique: Beauty Training Center. Since we were there, we also take this chance to check out the latest opening of IJM Land’s Penduline Type C property show house. It was well received and I saw many couples and families are check out the units available. The Penduline Type C homes are built on a land area of 20’x70’, with a total built up area of 2,028 square feet. The houses are priced from RM739,800, and there are only 155 units available for sale. These Type C homes are the final phase of the Penduline parcel, which will total 625 units in all. 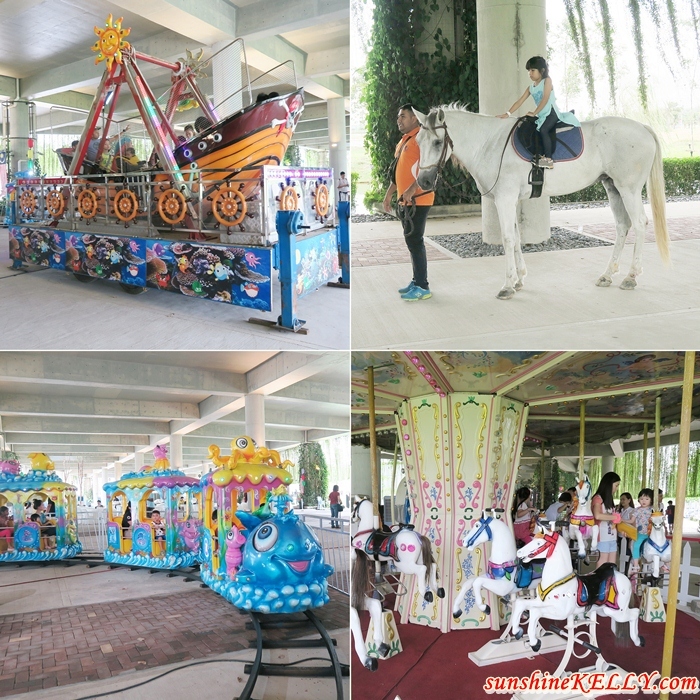 Besides these, there were many activities and games for the adults and children such as the merry-go-round, mini train, pirate ship and also horse riding. Overall Share Your Love at Bandar Rimbayu IJM Land is not only for the couples who plan to get married soon but also for the whole family. Whereby, couples get to plan their wedding and look for their future home, and the kids and adults get to enjoy a fun-filled family day with all these activities for free. Those shoes and gowns are so gorgeous!!! I'm drooling!!! I like the IJM Land’s Penduline Type C property show house. I like the design of the interior and choice of furniture. They blend well together. The house looks warm and friendly. I'd love to have this kind of house someday. Those gowns look really beautiful. I also love the shoes with bows at the back but I think those heels will kill my feet haha. It gives a more feminine appearance to the style. This is the perfect getaway place for couples. You should be sharing this place with your special someone. The place looks so beautiful. A wonderful place to relax and unwind for couples and love that gown. Weddings are really a big event in all countries. These wedding theme events are always very popular since there are couples getting married everyday and they all want to make their special day more special. Stories like this is inspiring, making love in a certain event for the benefit of a whole family and those who were about to get married is really a very good idea. I simply love the whole concept of this. Those shoes and those gowns!! Oo la la...So bad I cannot wear high heels this high. Love the shoes and gowns very much! Love the horse ridding very much! Love your post very much! Lovely gowns and shoes! I have a collection of shoes and this post reminds me a lot of them! This place is so awesome! The shoes are just incredibly beautiful!~ Stunning gowns!